Insurance..?! words that will be imagined in our mind is very difficult in the settlement of claims, the insurer does not want to pay claims to customers, or agents who often chase us to buy the product ..huuuuhhhhh .. all that annoying and annoying .. !! Let's throw away those ugly thoughts (negative thinking.red). Now let's see first "couching clinic" that I will give, hopefully help you. What are your goals for Insurance? 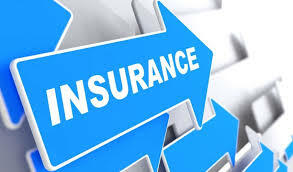 However, if your goal to follow the Insurance Program to get other benefits such as the element of investment then you are advised to follow the Insurance Program that has an investment element known as Unit-Link, because in addition to getting life protection but you will also get the investment results you want. This program is one of the tactics of insurance companies in the world and Indonesia to make people more interested to buy Insurance Products. But one thing that must be remembered by us all that you should never think that the purpose of buying an insurance program to get big and fantastic profits. Suppose you buy Insurance for Your Old Parent and have the disease to be insured because you expect the hospital treatment cost will be borne by the Insurance Company or if the parent dies will get a big compensation. It is a big mistake and throw your mind away. Because the Insurance Company is not "stupid" and it is that easy to receive your Parents for insured in the Insurance Company. They will usually give an exclusion clause or extra mortality (making your premiums more expensive than normal due to the higher risk of death) as well as the use of Pre-Exisitng Condition borne by the Insurance Company). If there are so many restrictions and constraints on benefits made by the Insurance Company, then perhaps later you will only get a refund of premiums that have been paid only. Well, therefore do not ever think of you to reap the benefits by following the insurance program. KEY WORDS >>>>> Join the Insurance Program not to get huge and fantastic Profits but to get Life and Financial Protection for you and your family. This principle must be upheld by both the Insurance Company and the Insured. Most Claims issues are not paid by the Insurance Company due to Principle deviations. Let's say you often do not realize when filling the SPPA (Closing Insurance Request Letter) or SPAJ (Life Insurance Closing Letters) or questionnaires given Insurance company when you want to buy insurance products do not reflect or explain your actual circumstances. Usually in the questionnaire there will be a question whether you've been smoking or ever smoked in the previous 2 years? If you are a smoker or have smoked 2 years ago then you should write "Yes", but because you think it is unimportant and you feel very healthy today or it could be because you are afraid of rising premiums and you write "No" in in the field. Once you make a Claim for hospitalization, it will be a problem for you. At the time of making a claim to the Insurance Company then the Insurance Party will mebuka old files one of them SPPA. Unfortunately after getting the results of medical reports you were hospitalized because of the heart disease caused by cigarettes, the Insurance Company will very firmly to mebuat your claim is invalid and will be rejected by the Insurance Company. Therefore fill SPPA / SPAJ with honest, good and correct. KEY WORDS >>>>> The principle of Good Faith is that underlying the Insurance Contract Agreement between you and the Insurance Company must therefore be firmly held by both parties, and fill the SPPA / SPAJ honestly, correctly and correctly in order to avoid Fraudulent Infromation ( Incorrect information) and ultimately Your claim will not be paid by the Insurance Company. If you want to buy insurance do not look at the benefits provided but what benefits will I use. Because in principle the more benefits the greater the Premium will be paid by you. For example there are Health Insurance Products, covering all sorts of diseases (illustrations only) and then there are programs that cover a number of diseases that are very often once encountered to get the disease, then maybe you should have a mediocre budget then you should choose a product which you really need. If you force the will to buy a super-complete Insurance product and your budget is mediocre it is very dangerous for you. Especially if you are up to Premium and have passed the grace period for approximately 60 days, then your policy will soon be lapse (canceled) by the Insurance Company, and all benefits in Insurance is no longer valid when you make a claim . KEYWORDS >>>>> Purchase an Insurance Product that suits your needs so you avoid the difficulty of paying premiums and other living needs. Choose an Insurance Company that you really trust will operate for a long time. In terms of Asset and Capital are very clear, the more Asset and Capital then the stronger and logically it will be difficult to roll out. In terms of Risk Based Capital (RBC), the higher the RBC (usually in percentage) then the better, it means that RBC is a representation if all customers make Claims how much money is still available in the Company. The MOF sets for the moment should not be less RBC than 120%. With 120% RBC means the company still has reserves of 20% of all claims that may occur simultaneously. In terms of availability of branch offices, the more branches the better, because the logic of companies that have spent a lot of cost to establish branches in areas is a company that has prepared a long-term business plan so it will not be easy to roll out and this can be a mirror that the company is really fully concern in the business. You must be observant and careful again before you decide to choose a program from an insurance company. Do not just look in terms of Joint Venture with foreigners, then you immediately rushed and without thinking again long to buy. Not necessarily the company has a network spread across small cities in Indonesia. But vice versa do not choose a small Insurance Company that does not have branch offices in other cities that will make it difficult for you to make Claims later. KEYWORDS >>>>> Choose Insurance companies that have strong capital, assets and RBC as well as a wide network of branch offices. By following the steps above, hopefully you will no longer experience unpleasant things when dealing with the name Insurance. Because the purpose of Insurance is To provide financial protection for you and your family in outline. Finally We will get the real meaning and benefits of the name Insurance.